Matt Cutts took to Twitter on Friday to announce a minor update to Penguin. For our clients and readers wondering if they are part of the one percent being affected by Penguin 2.1, BCI recommends monitoring your organic traffic in Google Analytics over the next two weeks, looking for a dip. A dip in traffic occurring on this date may indicate that your site has been hit by this update. In some cases, you might see an increase in traffic, which would indicate an outranking competitor took a blow from Penguin 2.1. Penguin is an algorithmic penalty, initially launched in April 2012, that targets rankings inflated by way of unnatural links — or in other words, Penguin works to devalue manipulative links in Google’s search ranking algorithm. What’s the solution to a Penguin penalty? Clean your backlink profile. Need guidance? Check out our Link Removal Flowchart and Link Pruning Procedure. All links should be earned, so you do not buy links, you do not reciprocate links, leave spammy, off-topic comments on blogs, or any of the things that are historically listed as bad. You don’t do the things that are generally recognized as generating an inorganic link on purpose. The best way to get links is to earn them, and the best way to earn them is to have quality content, share knowledge and have something worth linking to … Contribute to the industry. Build your brand. Those are the things you should be doing, not playing the game ‘whoever dies with the most links wins.’ That’s not the right way to do it. Familiarize yourself with link building best practices in the post-Penguin age. 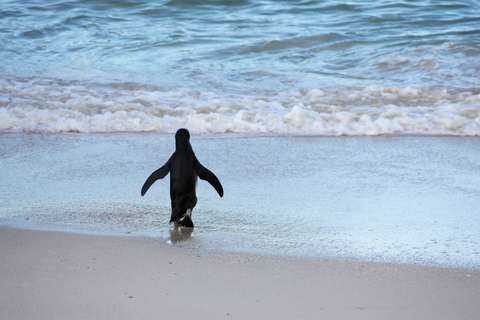 During this week’s SMX East 2013, master link builders shared their top Penguin-Proof Link Building Tactics. If you believe your site has been hit with penalties resulting from Penguin and are looking for an in-depth analysis, don’t hesitate to contact BCI at (866) 517-1900. Our SEO analysts can identify where your site violates Google best practices and create an actionable plan on how to overcome any ranking drop. Learn more about the SEO Penalty Assessment Service. It is getting harder and harder to make sites rank in google serps. If google identifies a link scheme like c-blocks, anchors, weak links they act very quickly. It seems that sites from scratch may tuen out to be better performes if the monitoring period is over and google deems them trusted sites. Good content alone is never enough, you need to find a way to let other people know about it. And this is when fight against spam comes in – google wages war on them but changes in the algo can be more painful to innocent webmasters – some of them may fall victims of negative seo, making use of the knowledge they gain about google’s dislikes. All links from dofollow sites is dangerous. So, we need to be very careful while dealing with penguin. I’ve seen a lot of changes as well. One site of mine has doubled in search engine traffic (I can’t tell what queries now though :|) while a few others have either dropped a little or remained largely the same. I’ve seen a lot of changes for some of the keywords I’ve been monitoring and noticed some sites took major hits from this update. Fewer than 1% of sites affected – yeah, a minor change. I have not noticed any changes for my site, so must not be anything major. Looking forward to seeing more about how Penguin 2.1 is unique from the rest and what makes it different. Now I know that this Penguin thingy plays a big role in manipulating links Google’s search ranking algorithm. The list of solutions is helpful, most especially to those who I encounter a certain problem in their links. Thanks for this! Timely post!